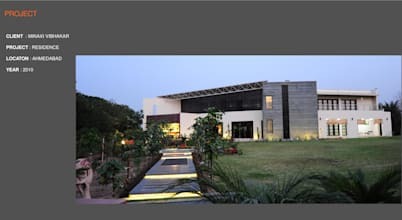 We are an Ahmedabad based firm, working in the field of Architecture and Interior Designing since 1997, involved in projects of a varied range. 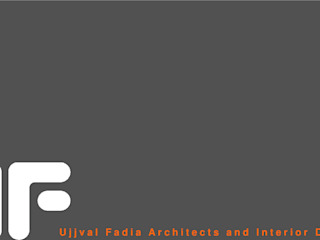 Our projects include offices, residences, hotels, farm houses, restaurants, café, apartments and boutiques. 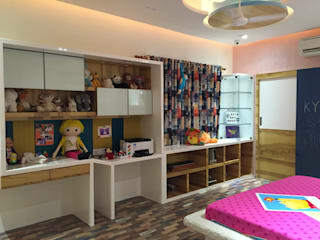 Our primary aim is to design, so as to optimise the space and project the best in it. 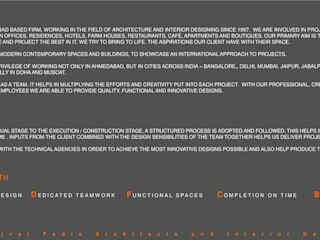 The goal is to bring to life, the aspirations our client have with their space. 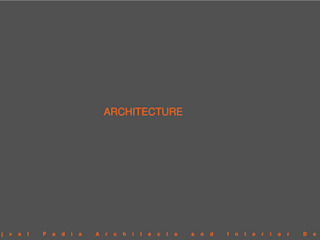 Architecture, Interior Designing, and Space Planning.